Two sweet new friends to make you chuckle. One mouse. One bunny. Plus one massive ice cream. The lovely comic art in here is bound to tickle your fancy with its cute animals and luscious candy colours. Steve the mouse really wants an ice cream. It’s so cold and sweet! He’s very hungry. The trouble is, he’s not very smart. 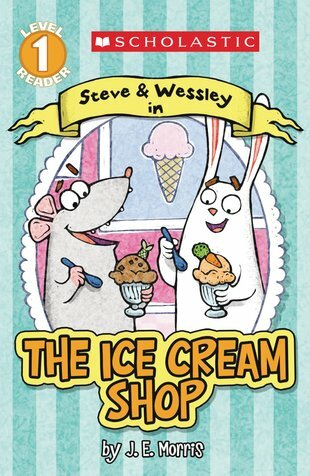 Can Wessley the rabbit help Steve out? The words are so easy and the ice creams look so yummy that you’ll gobble this story up in a flash.